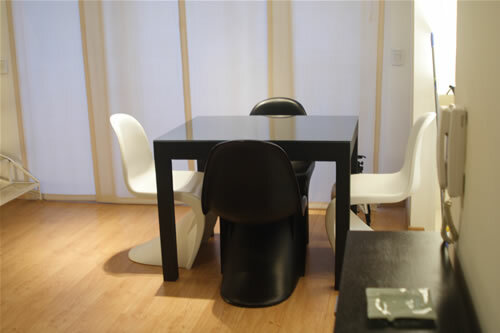 Premier Furnished Rental-Duplex one bedroom apartment located on the Baez st at the happening and vibrant Las Canitas area of BA. 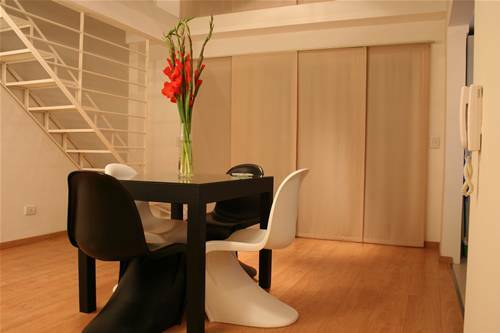 Apartment is designed trendy biz/pleasure travellers in mind. This apartment faces the street and gets tons of sun-light. Very airy and bright. this is a owned - apartment and minimum rental it's 15 nights. Digital safe box, power a/c, heated floors, cordless phone with answering machine, HiD Flat TV, laundry machine and also we provide a camera cell-phone for our guests to use during their stay. Power and light, water services, building expenses, taxes, city taxes, land line phone use, CATV and other services included. The apartment may have also High Speed Internet, Daily Maid, Daily breakfast, and other services such as airport transfers, cellphone, radio taxi services, etc. This is a great value for money. Prices are $ 389 per week or $ 1250 monthly. This apartment is large 68square meters ( 732 sq ft). has 1 bedrooms and 1 bathrooms, sleep 2 people. tv plasma, hair dryer, universal adaptor, land line, local call EU/US, wi-fi, refrigerator, stereo system, premium catv, cellphone, free radio taxi, airport transfers, swimmingpool, free access to the gym, internet access, daily maid, breakfast, city tours. If you let BARTS know within 61 days or more in advance about a cancellation, we will refund 50% of the deposit. local rail, taxis, subway, bus.